You've got to hand it to Capcom: they're not above crossing the streams to see what happens when their franchise characters meet up with other brawlers. Whether it's the Marvel vs. Capcom series, X-Men vs. Street Fighter or Tatsunoko vs. Capcom, the powers-that-be at the Oska-based publisher will pit Ryu and crew against anybody if the numbers make sense. 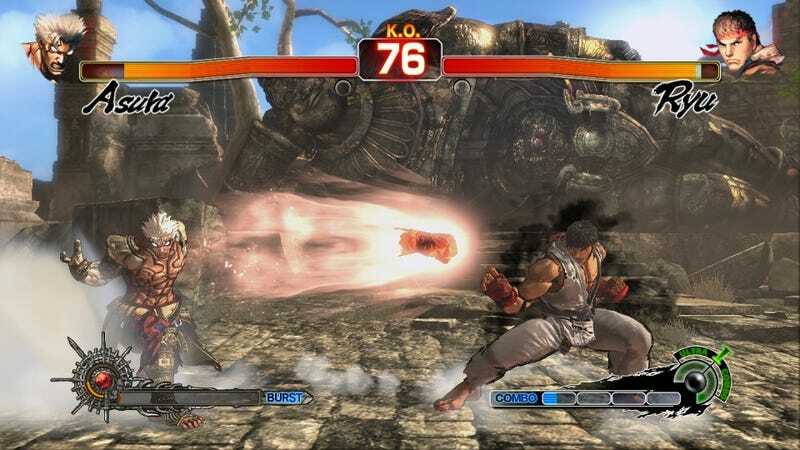 With the company's new rage-filled action game on its way to consoles, the algorithms must be right for a little crossover promotion for Asura's Wrath. Granted, all we get is the above image from Capcom Unity. But it seems to hint that one or more characters from the mythologically-influenced beat-em-up will be trading blows with the World Warriors. Paid DLC? Free? Who knows? Capcom promises more info soon.